This is the next installment of a multi-part posting discussing the development and use of an elevator speech as used in a job search. You might want to say things differently to a colleague than you would to a friend at a social gathering. Sometimes you’ll just have fifteen seconds for your speech, and in other situations you might have a full minute. Focus on mastering a few key talking points, and then work up ways to customize your speech for particular situations. Much of this will happen naturally as you speak with people (as long as you remember your talking points). Use the word count feature on your computer to create shorter and longer versions. A good rule of thumb is that you can comfortably say about 150 words in sixty seconds. Remember, the purpose of an elevator speech is to quickly inform the listener of your value proposition as a professional and begin a conversation. Putting these tips into action is the real trick. Check out these websites that contain scores of elevator speeches (not all are designed for job seekers) for a variety of industries: www.improvandy.com and www.yourelevatorpitch.net. © 2016 Brian E. Howard. All rights reserved. No part of the content of this response or post may be used or reproduced in any form or by any means, electronic, mechanical, digital, photocopying, or recording, without the expressed written permission from the author. Practice, practice, practice—and solicit feedback. After reading your speech aloud, tinker with the words (the goal is to have a speech that sounds authentic and confident). Now, memorize the speech and rehearse it in front of a mirror (or use the video recording capabilities of your computer or smartphone). You need to see and hear how you sound. Granted, this might feel awkward at first, but the more you practice, the smoother (and more conversational) your delivery will be. Smiling while saying the words will increase the impact of the speech. Project your voice so those listening will clearly hear and understand. Continue tweaking your speech until it no longer sounds rehearsed. When polished to your satisfaction, try the speech out on a few friends. Make eye contact, smile, and deliver your message with confidence. Afterward, ask them what they thought your key points were. If their response doesn’t square with your objective, the speech still needs work. Elevator Speech in a Job Search – Tailor the speech to them, not you! Tailor the speech to them, not you. Remember that the people listening to your speech will have their antennas tuned to WIIFM (What’s In It For Me?). So, refer to what you have written to ensure your message addresses their potential needs. 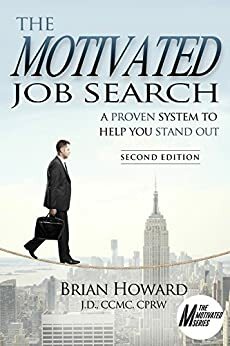 For example, this introduction: “I am a human resources professional with ten years of experience working for consumer products companies,” would be more powerful this way: “I am a human resources professional with a strong track record in helping identify and recruit top-level sales talent.” Hear the difference? Hear the branding? Using benefit-focused terminology will help convince a listener that you have the experience and skills to get the job done at his or her company. Now that you have ideas and concepts about yourself to promote (your outline), begin drafting your speech’s initial version. Here are some steps to guide you. Statement regarding your value proposition as a professional. Accomplishment or proof statement that supports your value proposition as a professional. Call to action in the form of a subtle invitation to have a conversation. Give yourself some time to ponder the ideas and concepts you may include in your speech. Don’t rush. It isn’t necessary to start drafting the speech immediately, but begin with notes reminding you of your bottom-line message. Don’t worry about proper grammar and complete sentences yet. The objective is to gather concepts and ideas first, so be careful not to edit yourself. Refer to your branding words. Know what your Value Proposition is. This is where your branding comes into full play. Identify as precisely as possible what you offer, what problems you can solve, and what benefits you bring to an employer. If you are a tenured job seeker, think of achievements and statements that could be woven into your elevator speech that could attack an age bias, such as instituting a new technology or taking on a project that required extra effort or extra hours of work. Please comment, share and follow for more of The Motivated Series! This single factor will give your speech the most impact. For example, if you’re targeting a CEO position and you will be speaking to members of the board of directors, you want your elevator speech to include statements of vision, direction, strategy, profitability, and shareholder value (especially for publicly traded companies). If your target position is in operations and the hiring executive is the COO, you want your elevator speech to include concepts such as efficiency and operational savings. Finally, if your target position is in sales and the hiring executive will be the director or vice president of sales, you want your elevator speech to contain information about new business sales and sales goal attainment. We want to hear from you! Please comment, share and sign up for more! The elevator speech is a critical component to your job search. By definition, an elevator speech is a 30-second speech that summarizes who you are, what you do, and why you’d be a perfect candidate. In essence, it is your personal commercial. In this multi-part posting, we will discuss the critical elements of a elevator speech as used in a job search. The purpose of your elevator speech is to grab the listener’s attention, quickly provide relevant information, and initiate conversation. A crisply delivered elevator speech is a differentiator from other job seekers. While others may struggle and stumble, you will be able to concisely inform the listener about your professional value proposition (brand). Develop a handful of variations for different situations, including all forms of networking, interviews, association and industry conferences, and strictly social gatherings. This will be easy to do once you get your talking-points memorized.